A unique and different Dental Practice! Larrondo Dentistry is a multi-part dental practice. 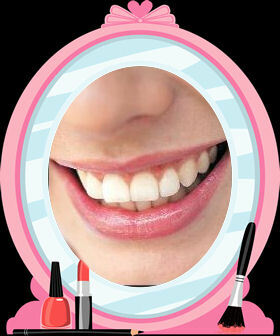 It is divided into two parts, dental science and dental cosmetic arts. Dr. Larrondo has extensive dental training (dental science) and specialized artistic skills (cosmetic artistic ability) to design treatment plans unique to each of his Hemet cosmetic dental patients. To insure each patient achieves the attractive, yet natural look, Dr. Larrondo does much more than recommend specific procedures. He considers the shape, alignment, color and condition of the patient’s teeth. In order to create a balanced look, the facial shape and coloring is taken into account. Patients of Larrondo Dentistry receive a balanced overview that considers their age, health condition and lifestyle. At Larrondo Dentistry of Hemet, California, each and every patient gets a custom treatment program; there is no one size fits all treatment plan. Dr. Larrondo’s artistic abilities have been perfected over many years of creating smile transformations for his Hemet and surrounding area cosmetic dental patients. He is constantly receiving the latest training in new techniques and materials. With fairly recent cosmetic dental procedures such as teeth whitening and porcelain veneers, dental science has advanced considerably. Dental implants are a truly remarkable solution for our California dental clients who have lost one or more teeth. Dr. Larrondo would love to design a personalized smile makeover for you. When the work has been completed and you are enjoying your new look, it will only be obvious to those who see you all the time. Others will assume you have always been blessed with a naturally beautiful and healthy smile. How to contact Larrondo Dentistry!